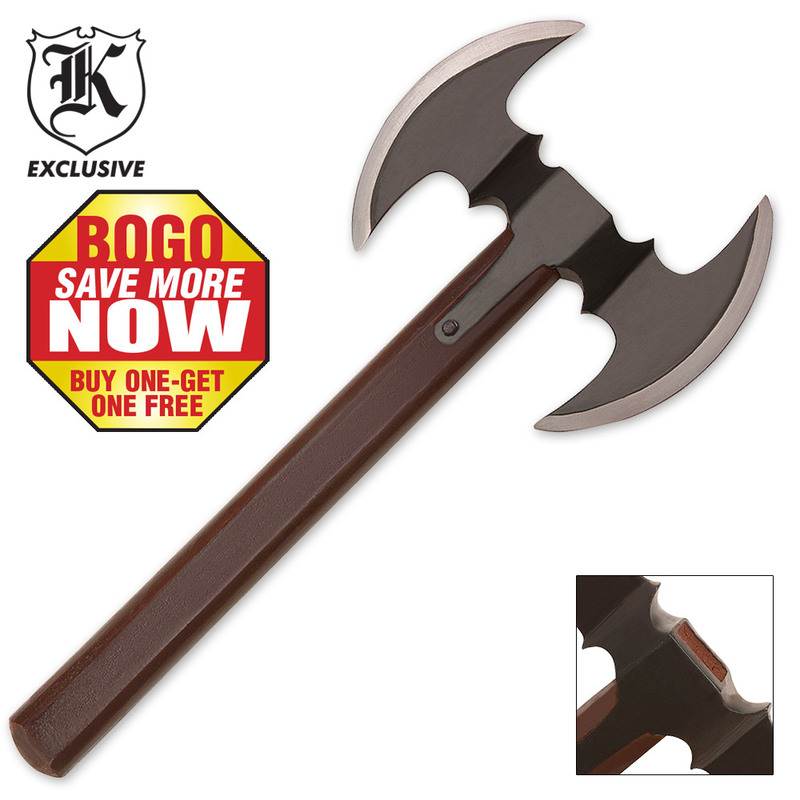 Double Bladed Throwing Hatchet Axe 2 for 1 | BUDK.com - Knives & Swords At The Lowest Prices! 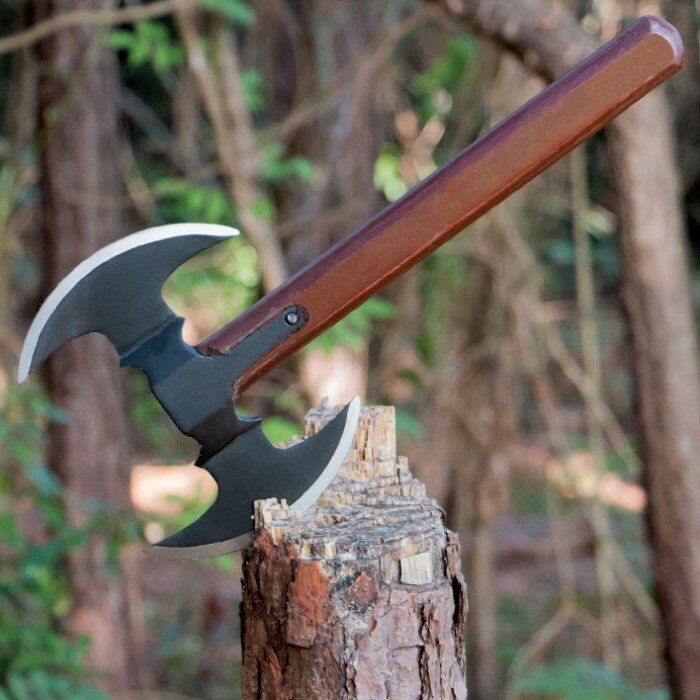 This custom throwing axe is perfectly balanced to sail through the air with ease and nail a bullseye every time! Great axe. Feels soooooo good to hold. Looks great. What's not to like? THIS IS A TOOL YOU SHOULD HAVE IN YOUR PERSONAL ARMORY . I HAVE TO ORDER MORE OF THESE . EVERYONE WHO SEES MINE , WANTS ONE . SHARP AND WELL CRAFTED . I HIGHLY RECCOMEND . MAMA ROSIE AND I ORDERED A SET OF THESE AND WE LOVE THEM ! NICE SIZE ALSO . THANKS BUDK !